Helicops is a genus of 16 species of Neotropical watersnakes. 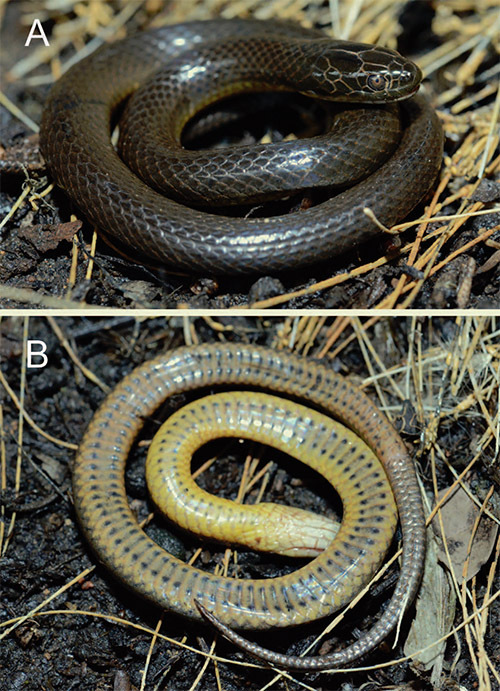 Using morphological and genetic data, Costa and colleagues (2016) identify a new species of this genus in the most recent issue of Herpeptologica. The new species occurs from southeastern to northern Minas Gerais, Brazil. The new species, Helicops nentur has 17-17-15 dorsal scale rows; 111–117 ventral plates; 41–56 subcaudals without keels; nasal entire; 18–21 + 2 maxillary teeth; and the hemipenis is bilobed. At present the new species is known only from five localities in Minas Gerais: The distribution of this species is in the Bahia Interior Forest ecoregion (Tropical and Subtropical Moist Broadleaf Forests biome), its border with the Cerrado ecoregion (Tropical and Subtropical Grasslands, Savannas, and Shrublands biome), and the ecotone between the Atlantic Dry Forest and the Caatinga ecoregions (Tropical and Subtropical Dry Broadleaf Forests biome and Deserts and Xeric Shrublands biome). This indicates that Helicops nentur might occupy different environments and climatic conditions. The distance between collection localities also suggests that there are many distribution gaps in the range of the species. The name nentur is formed by the words nen (water) and tur (ruler, master), meaning “master of waters,” a reference to the aquatic habits of Helicops. Costa, H. C., D. J. Santana, F. Leal, R. Koroiva, and P. CA Garcia. 2016. 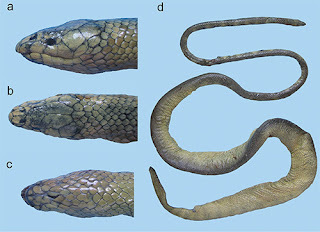 A New Species of Helicops (Serpentes: Dipsadidae: Hydropsini) from Southeastern Brazil. Herpetologica 72 (2):157-166. I am doing a project on snakes and I would like to know a bit more about this snake, and your previous ones as well. Great work!